Many residents of coastal towns from Kalbarri to Guilderton have noticed that some of our beaches have been eroding and keeping track of this process is an important part of managing our coastline. 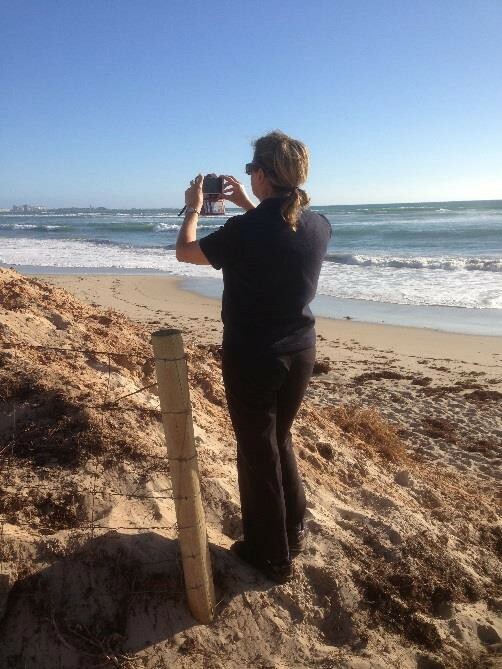 With this in mind, the Northern Agricultural Catchments Council (NACC) received funding in 2010 from the Department of Planning’s Coastwest Grant Program to establish a photo- monitoring program for Geraldton beaches. With City of Greater Geraldton support, community volunteers started snapping regular photos of their local beach and uploading them to an on-line database for storage. Then in 2013, Coastwest funded NACC to expand the program to include all coastal townships between Kabarri and Guilderton. This program now has eighty five coastal sites being monitored by over fifty volunteers and has generated over 2,100 photos. “These photos represent a pictorial record of how local beaches are changing over time and the longer the time period they cover the more valuable they become.” says Dr Mic Payne, Program Coordinator. 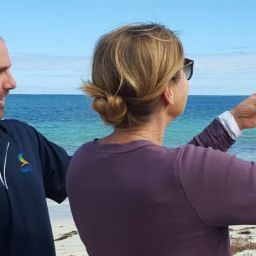 “For some Geraldton sites, series of photos spanning a couple of years have already been reviewed by coastal managers to assist with managament decisions”. A vital component of the program has been the development of Photomon, a smartphone app that greatly assists users in their photo-monitoring duies. The app uses the smartphone camera to take photos and then automatically uploads them to a database, along with important information such as the site name and date. Another useful app feature enables photos to be aligned with a “guide” image overlay so that each photo has exactly the same field-of-view, an important consideration when measuring environmental change. The app will also remind users when another photo is due to be taken. Monitoring photos can be viewed by the public on NACC’s new online mapping portal NARvis located at http://narvis.maps.arcgis.com/ . NACC’s photo-monitoring program is in for the long haul so if you would like more information or to become a photo-monitoring voluteer, please contact Dr Mic Payne on 9938 0123 or [email protected].